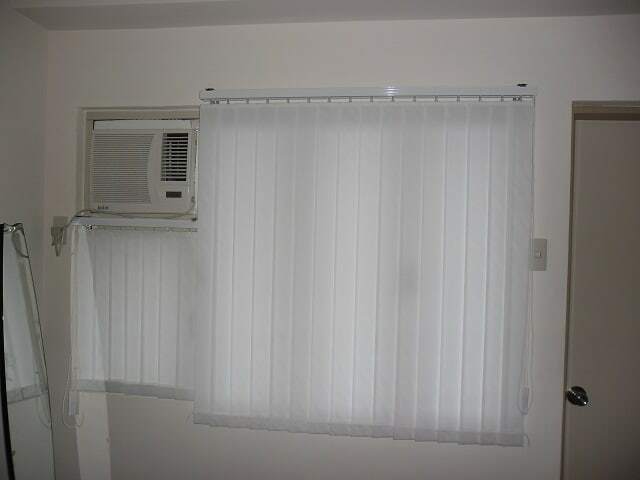 Window blinds are necessary to provide light and privacy control to our rooms. The right type of blinds can help save money, enhance a room’s decor, and keep off prying eyes. Vertical blinds, one of the most affordable, easy to install and versatile home accessories on the market, offer us smart solution to our window decoration problem. They usually come cheap, practical, and stylish. They are also capable of keeping out sound from outside, an ability often overlooked. Generally, vertical blinds are excellent for large, wide windows or sliding glass doors, but they also do a marvelous job when scaled down to cover smaller ones. They are pretty easy to use, faster to operate and more effective at doing jobs that blinds are intended for. These made them one of the top choices for the perfect sound and harmony of light for your room. The blinds are easily opened by pulling a cord to rotate the slats to fit many needs, from being partially opened, completely closed, and completely opened or anything you like in between. Some blinds work simply by being drawn totally away from the window for a complete outside view. When fully opened, the slats give a clear view of the window, giving maximum light into the room. When positioned at an angle, it allows viewing out of the window possible, while blocking bright sunlight and providing privacy. Vertical blinds come in a vast array of shapes, colors, and styles. They are available at varying densities, from opaque to translucent, for better precision in light control. Blind materials commonly found in the market include PVC, fabric, wood, and others. PVC is the most economical and popular choice among vertical blinds. Fabric types, however allow for more choices with dazzling color and style, as well as being fairly quiet, and a superior ability to insulate against heat, or sound. While wood blinds cost much more, they can really boost up the decoration at your place. Choose your pick so as to tie the look of your room together, style should never be overlooked in the course of your selection!!! Another great advantage of vertical blind is being vertical; it allows lesser dust to settle on its surface. And for the little amount of dust that gathers on vertical blinds, they’re fairly easy to clean. A duster can fit into the slats almost very effortlessly. Soiled slats, in general, can also be cleaned without big hassles. Bear in mind that however, over time, all things wear and the same goes for vertical blinds. Vertical blinds do require repairs, maintenance and cleaning to last longer, regardless of what the smart salesperson could have told you. Do them dutifully as you would to other household accessories. Go ahead with renewals if necessary and you will discover a sparkling difference. The costs are usually low, but the results from the effort is tremendously rewarding.